BUBUG member Peter Lee has contacted the Council about the dangers at busy times off the South Gate / Bristol Road / Bournbrook Road junction. 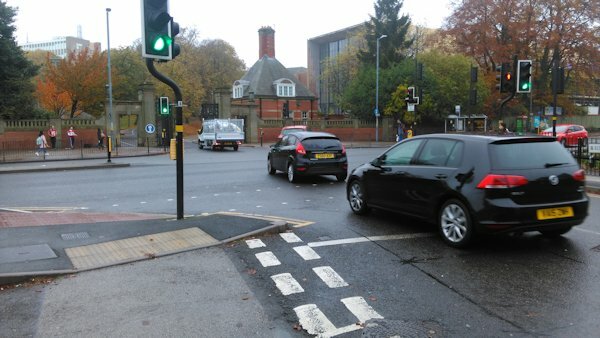 The lights at the Edgbaston Park Road junction can cause tailbacks across the junction and the behaviour that Peter has witnessed. Please send us your views? Should there be a box junction? Are they ignored anyway by motorists? How about stopping up Bournbrook Road? 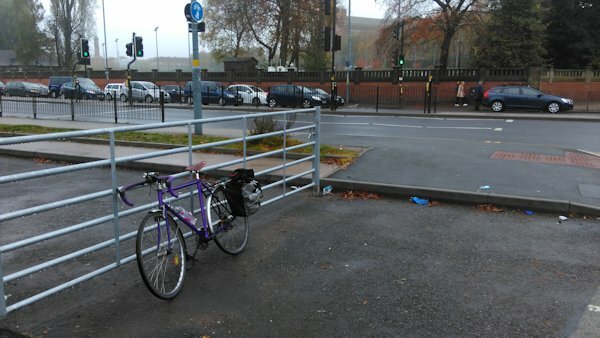 PS A Strange gate has recently appeared on the stub of Arley Road near this junction. The presnce of this stub was BCC’s excuse for not providing an advanced stop line on Bournbrrok Road. Time to ask again?